First day at Lexis Korea; what to expect. Worried about your first day at Lexis Korea? When you arrive at Lexis Korea, one of our friendly staff will start with orientation. 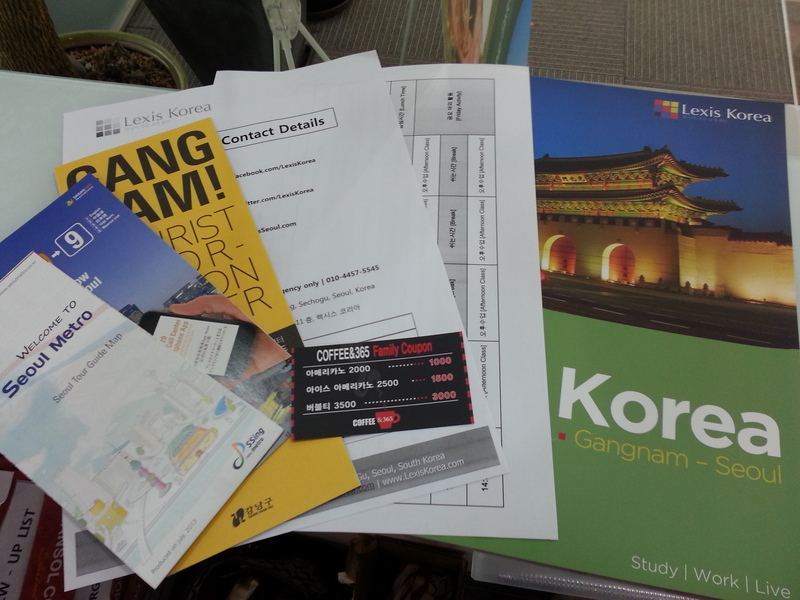 You will receive an orientation package which includes information about Seoul, Gangnam and Lexis as well as a class timetable. After a brief introduction about the school and classes you will be allocated to a class based on your knowledge of Korean. We cater for various levels so if you have never studied Korean or if you know some Korean already, it doesn’t matter as we will find the appropriate level and class for you to start in! For new students there is a tour of the Gangnam area where Lexis Korea is located and we will show you where everything is around the school including the station, shops and facilities which you may need to visit during your stay. At lunch time the students usually eat together so this is a great time for new students to get to know their classmates. All you have to do on your first day is show up on time and everything else will be ready for you to start your studies at Lexis Korea! Easy!